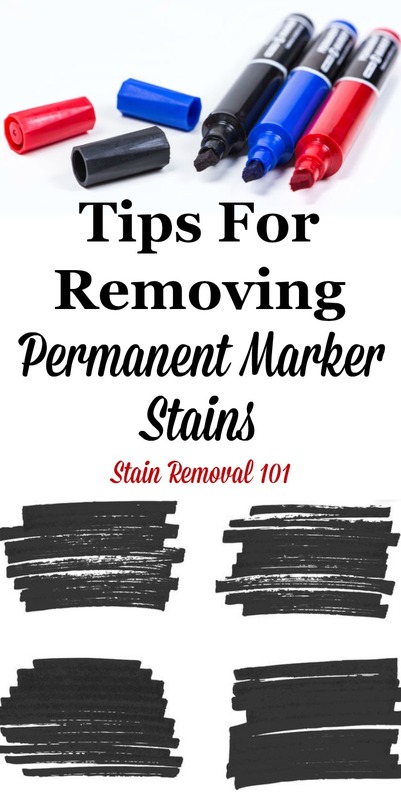 Here is a round up of tips for how to remove permanent marker stains from clothing, walls, carpet, upholstery and other places in your home, for these difficult to remove marks and scribbles. There are a wide range of tips below providing instructions for removing these marks from variety of surfaces, from hard surfaces to textiles, and more. Have you had to get stains caused by permanent marker off something, when your child got hold of that Sharpie and decides to draw over everything in your house? The whole point of being a "permanent" marker is that it is permanent. 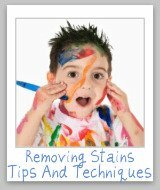 That makes removing these stains some of the hardest. 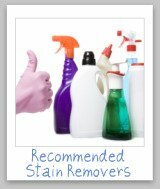 So, what have you done to get rid of those stains when you don't want them to permanently be on your household items? 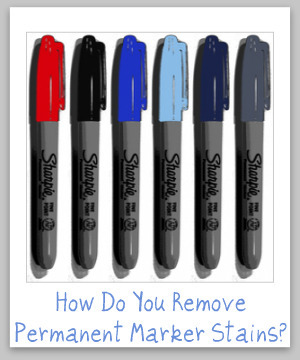 Share your tips with me below, so we can learn how you did it, to help us all out with removing our own stains caused by permanent markers. 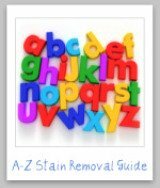 Different stain removal methods are necessary for different types of ink stains, and from various types of surfaces. In addition, you can share your ink spot remover or ink stain remover review here, if a commercial product helped you remove your ink stain. 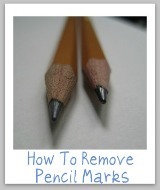 Got A Tip For Permanent Marker Stains Removal? 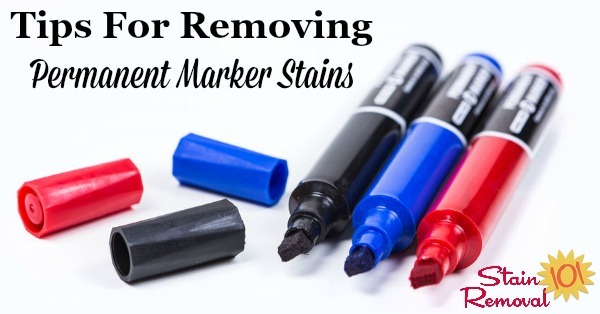 When permanent marker gets on something in your home, like your clothes, upholstery, carpet, walls, floors, or something else, how do you successfully remove those permanent marker stains? Feel free to explain your stain removal method for permanent markers, and any laundry supplies or stain removers that work for you. 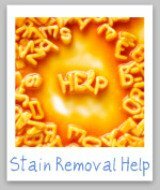 Click the links below to see stain removal tips about permanent marker already submitted by others.